Our brand new Smiths Bensmoor Suites were opened in mid-2013 and boasts 2 x 2 bed and 4 x 1 bed luxury suites. 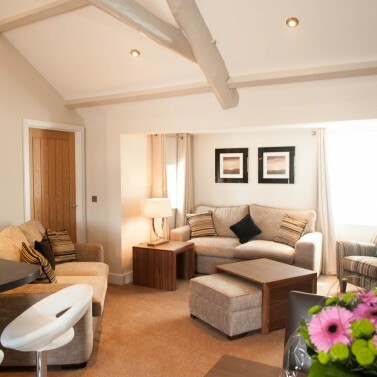 Situated only a stonesthrow from Smiths Hotel and Gretna Green Famous Blacksmiths Shop these suites make for ideal family wedding accommodation. Rates shown are approx. guides only and will differ depending on the time of year. These costs are intended to be for illustrative use only.